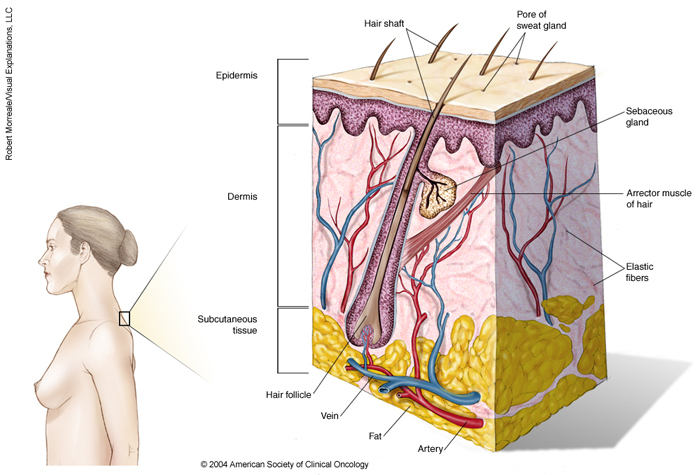 ON THIS PAGE: You will find a basic drawing of the layers that make up the skin. Use the menu to see other pages. The next section in this guide is Risk Factors and Prevention. It explains what factors may increase the chance of developing this type of cancer and ways to help reduce your risk. You may use the menu to choose a different section to read in this guide.